Matrubharti has partnered with AILF, Ahmedabad International Literature Festival. The one of it’s kind festival in Ahmedabad promoting literature and culture. AILF seeks to promote writing & reading predominantly among children and adults, with a focus on poetry, entrepreneurship, self-development and storytelling and seek to position the city of Ahmedabad on the literary map of India. Now it has become an annual festival. It includes activities such as panel discussions on literature, environment, entrepreneurship, language, culture, poetry and short stories, workshops on writing contests, book launches, art and craft, bookstore with the display. Interesting cultural events like poetry recitals and musical programs are also organized regularly. AILF believes that good literature is the base that creates evolved professionals in every field including science, technology, startups, politics and business. Literature increases the social flexibility of people and contributes to an enhanced state of individual and collective resilience. It really boosts the cultural cravings of our society, it is said that a man is nothing but an animal without horns in absence of culture. Books are the most powerful and enjoyable recreational and educational tool, we hope to create a useful environment for education which will ultimately lead to enhancement of language and creative skills of everyone. AILF has no dearth of sponsors & Partners, still more donors are always welcome considering the monumental task it has taken up to vitalize the culture and the language. 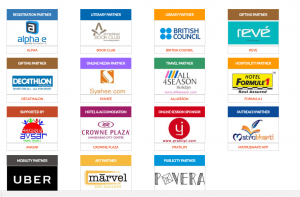 It is sponsored by companies such as Alpha, Matrubharti, Syahee, Formula1, All4seson, Crowne Plaza, Avasar, Decathalon, Povera, Uber, Marvel Art Gallery, Book Club, British Council and Reve and powered by Serene Publisher and Ikon Barcode and also supported by Gujarat Tourism, Sihl and KHS. It’s an ‘An Ikon Education Foundation Initiative.’ It constitutes of different segments such as Festival Director, Speakers, Advisory Committee, Organizing Committee and Managing Committee. AILF is supported and encouraged by many eminent scholars from different fields; they impart their knowledge with the participants very often. Let us first begin with Mr. Umashanker Yadav who is Festival Director in AILF & an Ex- Indian Air Force individual with interest in promoting literature. Dr. Abnish Singh Chauhan is the managing editor of e-journals & teaches English at SRM University, Delhi. Abhishek Jain started working as a Radio Jockey & has made debut film Kevi Rite Jaish. Anil Chavda is a young & renowned poet, a columnist, an editor & a writer. Anuja Chandramouli is a new age classicist who conducts workshops in various platforms. Anurita Rathore is a journalist & media professional engaged with creative initiatives in arts, literature and lifestyle. Arun Kaul is a retired veteran wing commander & has also been with the Group Head-Human Resources with Arvind Mills. Asha Mandapa is the head of ‘The Reflections Design Studio’ & the Co-Founder & Director of RSM Design Hub Pvt. Ltd.
Ayan Pal is an IT professional, a columnist & editor of lifestyle magazine ThnkMkt. 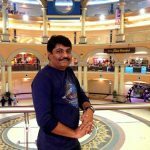 Brajesh Singh is an executive editor in ABP Asmita, 24 Hrs Gujarati TV Channel. Chinu Modi is a poet, novelist, story writer & critic writing under the pen name ‘Irshad’. Dr. Santosh Bakaya is a poet who has contributed to National and International anthologies. Dr. Falguni Vasavada-Oza is an associate professor at MICA & a reputed advertising expert. Fabrice Maingain is the director’s assistant of Alliance Française d’Ahmedabad. 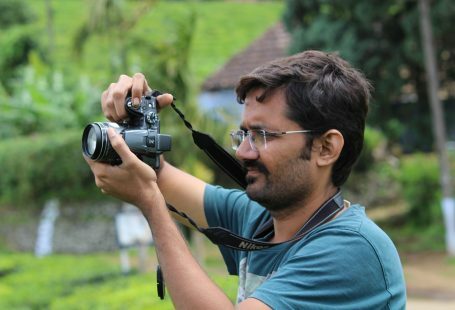 Shri Hitesh Pandya is a journalist who has been working as the media relations officer in the CM’s office. Jatin Kataria is a serial & missionary entrepreneur & the Advisor of the Youth advisory board. Jigna Shah is the CEO of ‘REVE’ Fashions & has won many awards in her illustrious career. Kiran Manral is a blogger and a fiction writer who has worked as a journalist. Koral Dasgupta is the Founder of a boutique and an Advisory Member of CBFC, Mumbai. Kumud Verma is a writer who has vast experience of managing schools. Lalima Yadav is a youngest author, a blogger, lyricist, and international poet. Maadhuri Sharma is a TV show host, video jockey, an interior designer & practicing nutritionist and health coach. Shri Madhur Bhandarkar is a renowned National Award-winning film director & a producer. Manoj Kumar Jena is currently working as Chief Reporter in ETV Odia News. Mehrab Irani is an author & general manager working with Tata Investment Corporation Ltd.
Musafir Palanpuri is a multilingual poet and a shayar of Gujarati literature. Nigam Dave is the Director at School of Liberal Studies in PDPU, Gandhinagar. Nitin Soni is known as ‘Curly Poet’ is a poet, a storyteller, a script writer and a social worker. Piyush Bhatt is the administrator of the Jaighosh Theatre and the Jehangir Group of Drama. Dr. Pradeep Mallik is an adjunct professor of communication at PDPU. Priya Vyas is currently working as a book reviewer & an editor to anthologies. Raghuveer Chaudhari is a novelist, a poet, a critic and a winner of ‘Jnanpith Award’. Raksha Bharadia teaches English & has contributed features for multitude of magazines. Ravi Manoram is an educator, entrepreneur & the founder of Ravman OPC Pvt. Limited. RJ Dhvanit hosts the morning shows on Radio Mirchi and also writes columns. Dr. Sakshi Chanana is an Assistant Professor at Delhi University & promotes literature. Sandeep Nath is a lyricist, screenwriter, director and a producer in Bollywood. Sanjay Chhel is a well-known writer, director & a columnist in Gujarati Newspaper. 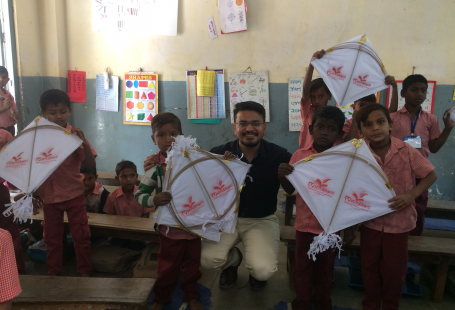 Srijan Singh is the co-founder & CEO of Dr. APJ Abdul Kalam Project. Sudeep Nagarkar is a writer and receiver of Youth Achievers Award. Suhail Mathur is an avid debater, a filmmaker, an editor & a quiz enthusiast. Sumana Mukherjee is a Committee Chapter Chairperson for Films-ALL & also associated with AIFDO. Sumant Batra is a lawyer, museum owner & an architect of many creative projects of art and literature. Tuhin Sinha is an author, columnist & currently is a consultant with Reliance Broadcast. 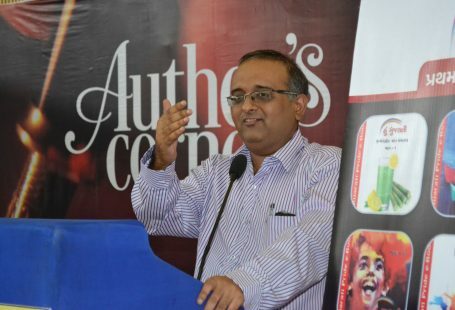 Tushar Shukla is an author of various books & is associated with All India Radio. Usha Narayanan is an author & has experience of advertising, media & corporate communications. Vihang A. Naik is a poet who teaches in serving colleges. Vinod Joshi is a critically acclaimed writer in Gujarati literature. Vishwesh Desai is a 15-year-old boy who has become a writer of short stories. Yogesh Gadhvi is the Chairman of Gujarat in Sangeet Natya Academy. So we have seen that from a fifteen year old boy to army veteran, management & business experts, the literary masters and bureaucrats, technocrats, the administrators, are all with us. It is our mission to involve more and more people possible to take interest in our language, our inherited culture so that our ethos’ are preserved for time immemorial. AILF will be organizing an event and we expect guests, participants and individuals to be a part of it & celebrate this special occasion of Literature Festival together. Session1: Captivating Storylines: How much does a good story matter? Session2: Looking For Literature: Is it in words around us? Session4: Media-driven Stories: How fiction drives the news narrative in present Times? Session5: Poetry is for everyone: Why the gap between supply and demand? Session7: Gujarati Literature: Why it needs to reach out? 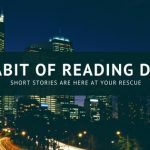 Session9: Short Stories: Are they around for the long haul? Session11: Sheen in their Teen: Why must young writers is taken seriously? Session12: Literary Agents: Who all need them? Session16: Tourism: Is it must to become accomplished writers?